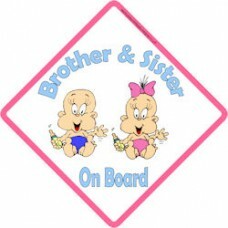 A brother with brown hair in a blue top stood next to his sister with blonde hair and large curls in..
A baby brother and sister, in blue and pink nappies with the girl having a pink bow in her hair.. 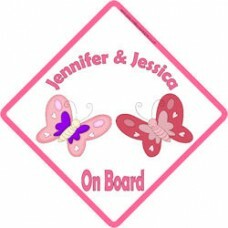 Matching baby brother and sister in blue and pink tops, with the baby girl having a ribbon in her ha..
An older version of the brother and sister signs, both with blonde hair and holding hands..
Sisters on board car sign, themed with two beautiful butterflies in both purple and pink..
Two sisters, one with blonde hair and one with brown hair with big happy smiles on their face..
Baby on board signs shouldn’t just be limited to babies – they are for everyone. 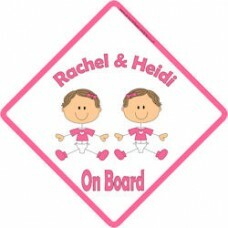 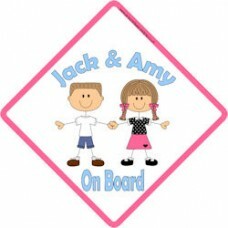 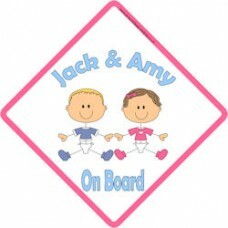 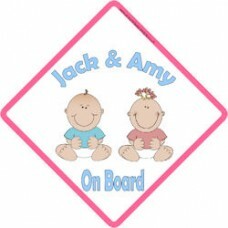 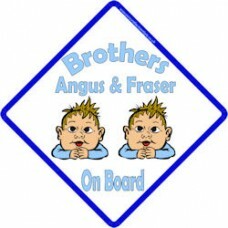 We’ve expanded our range to include brother on board and sister on board car signs. 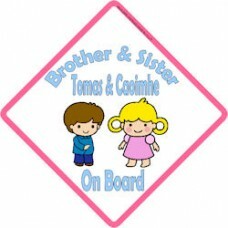 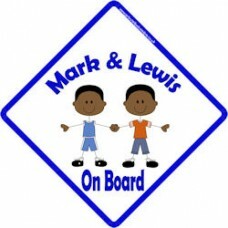 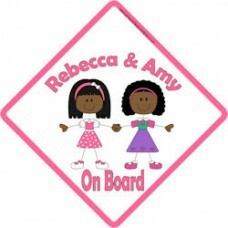 Our brother on board and sister on board car signs come in a wide range of styles, including different sized children, for big brother and little brothers, brother and sisters together, in a variety of hair colours and skin tones to help you pick the right brother on board / sister on board sign for you. 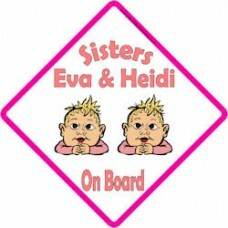 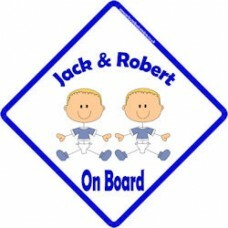 Remember, all our brother on board and sister on board car signs are fully customisable. 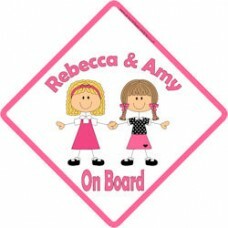 You can personalise with the names required, choose the font, text colour, border and background colours to ensure your car sign is exactly as you wish.